COBB COUNTY, Ga. -- A Cobb County grand jury has reportedly indicted a 63-year-old Georgia woman in the June shooting death of her daughter-in-law, a 35-year-old kindergarten teacher and mother of two who was going through a divorce with the suspect’s son. Jenna Wall was found dead inside her Cobb County home on June 23. Her mother-in-law Elizabeth Wall had been visiting from south Georgia when she called her son, an investigator with the Paulding County District Attorney’s Office, and told him to come get his sons, reports the Atlanta Journal-Constitution. When he arrived, he found his estranged wife dead in the kitchen. 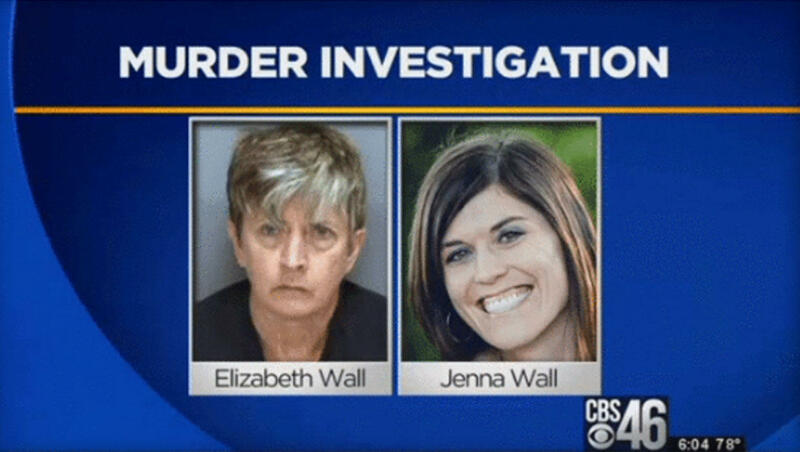 Investigators believe Elizabeth Wall shot her daughter-in-law four times. Police say Jenna Wall’s two children, ages 7 and 8, were inside the home when she was shot, but were not harmed. Elizabeth Wall was arrested the same day. Police said at a July probable cause hearing she had researched shootings and bought a gun about two months before the murder, the paper reports. Thursday, Elizabeth Wall was reportedly indicted on charges of malice murder, felony murder, aggravated assault, possession of firearm during commission of a felony, and two counts of cruelty to children in the third degree. CBS affiliate WGCL reported in June the couple’s divorce had been contentious, and Jenna Wall’s husband Jerrod claimed in court filings the woman was involved in an extra-martial affair with a high school boyfriend. Jerrod Wall’s petition also alleged his estranged wife was emotionally and financially unstable, and wouldn’t be able to care for the children, the station reports.